Microsoft Azure is the Microsoft public cloud platform that enables you to quickly build, deploy, scale and manage servers, services and applications across a global network of data centers. You can build applications using multiple languages, tools and frameworks. Essentially, the cloud allows IT shops to reduce CAPEX and engage in low risk development. IaaS can be thought of as 'rented hardware' that enterprises can access instantly with little upfront cost, providing them with the computing, storage and networking functions for existing services or new projects. Let us help you implement Azure into your current infrastructure. CDW can assist with all aspects of your Azure deployment through the examples shown below and you can contact your CDW account team to help accelerate your Azure deployment. How can our partners help you make the most of your Azure investment? Explore our Azure Ecosystem or check out our full listing of CDW Azure Services. As part of our cloud planning services, we offer a unique Hybrid Cloud Assessment for prospects and customers considering a move to Azure. Start building a rock-solid cloud deployment strategy with one conversation. 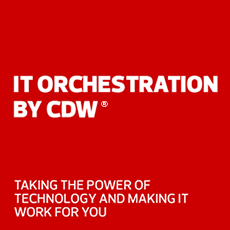 CDW’s field-based professional services team has extensive experience in assessing, designing, deploying and managing our customers’ Azure environments. Whether you are looking to move one small workload to Azure or your entire data center, CDW’s professional services team is there to ensure your Azure projects are a success. Our cloud experts take a unique approach to help you achieve cloud readiness by working closely with you during assessment, planning, deployment and management. An Infrastructure in the Cloud: A practical guide for enterprises as they start the journey to infrastructure-as-a-service. CloudCare and CloudPlan: A practical guide for enterprises as they start the journey to the cloud. Rutgers Business School: By leveraging cloud services, the school delivered rapid virtualization and easy single sign-on without cutting corners. Azure Videos: Learn about the full functionality and capabilities that Azure has to offer.